Richard Overton never sought to become one of the many poster children for tort reform, but he felt he had little choice but to start his Quixotic fight against beer giants Anheuser-Busch and Coors. Walletpop heard from him recently when we referred to his case in a quiz on infamous lawsuits and he called to set the record straight, according to him. The 58-year-old government employee from the Detroit area was outraged when he found his young children watching a commercial for beer that glamorized the beverage without discussing the risks from alcohol abuse, which he knew first-hand from his time as a police officer and the struggles he and his father faced with substance abuse. He insisted he wasn't on an moral crusade against intoxicating beverages. "When I quit drinking, I didn't say you should too," Overton, a Vietnam veteran, said in an interview. Still, to Overton, the commercials seemed like a clear violation of Michigan's laws that prohibit misleading advertising. After the Michigan Attorney General's office and private attorneys wouldn't take his case, he decided to take on the beer industry single-handily. In June 1991, he filed suit against Anheuser-Busch in the 36th Judicial Circuit in Paw Paw, Michigan, alleging the King of Beers issued advertisements that were "untrue, deceptive and/or misleading." (You can access the filing here.). The case cost him $25 to file. Another case was filed against Coors. As he prepared for the court date, Overton spent his spare time scouring law libraries for legal precedents with the help of friendly attorneys. 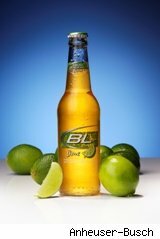 One thing he learned was that to prove his case, he would need to show which commercial was in violation of the law That's why he mentioned -- perhaps ineloquently -- in his court papers a Bud Light commercial that "showed beautiful women and men engaged in endless and unrestricted merriment." The commercial also showed someone doing a flip, difficult to do sober. In essence, Overton argued that the commercials were deceptive because they don't mention the potential dangers of alcohol's inherent properties. The court dismissed the case, and a subsequent appeal to the State Supreme Court was denied as well. But in the years since, Overton's suit has been featured in countless blogs and web sites as an example of the tort system. Most of the media reports argue that Overton was somehow disappointed that beer drinking did not bring him the fun he noticed in the commercials. Nothing could be further from the truth. "I wish people really knew what I was trying to do," Overton said. "It was very legitimate argument.. The problem may have been in the way I worded it."